Amid calls for ban in India, Tik Tok deleted more than 6 million videos for violating company policy and also introduced user-defined comments filter which prevents cyberbullying on its video sharing platforms. What is Nillu Nillu challenge trending in Kerala? Earlier in the month, Madras High Court, after hearing Public Interest Litigation (PIL) against reports of toxic content circulation on Tik Tok, passed an order urging the central government to ban the video sharing platform in India. 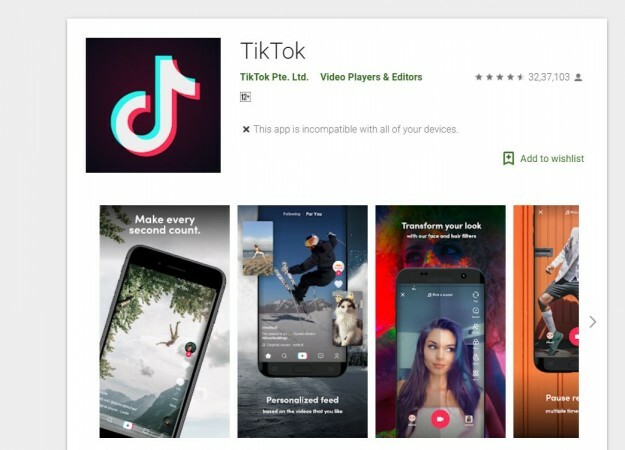 Now, Tik Tok app developer has announced several measures it has taken to curb circulation of age-inappropriate content, including protecting children from predators and brought in anti-bullying steps. The Bytedance-owned company has also introduced age-gate that allows only users who are 13 years or above to login and create an account on TikTok and it has also incorporated additional safety mechanisms in to ensure that underage users do not use the platform. "As a global community, safety has been one of TikTok's key priorities. The launch of our age-gate feature in addition to our existing takedown of content that violates our Community Guidelines reinforce our ongoing commitment to ensure that our platform remains a safe and positive space for our Indian users and we discharge our obligations under the Intermediary Guidelines of India, in a meaningful manner. We are looking forward to introducing more relevant features and initiatives to help Indian users be safe and continue to enhance their experience with TikTok," Helena Lersch, Director, Global Public Policy, TikTok said. As part of social responsibility, Tik Tok will also be pushing notifications about the on-going Lok Sabha 2019 elections, reminding users to use the cVIGIL app to curb malpractices of a local candidate. if the latter indulges in appeasement of voters with cash or any commercial articles, users can take pictures or video and file complaint to Election Commission of India. Unlike PUBG Mobile, Tik Tok has made genuine efforts to clean its video sharing platform. It can be noted that recently, Tik Tok launched localized Safety Center that empowers the users to keep their accounts safe and learn how to choose to keep their accounts private and use other features in their own language. There is also a 'Digital Wellbeing' feature from within the app, which the user can limit the number of screen hours along with the tools to report, flag, block and delete comments and a Restricted Mode further enabling users to filter content. As part of the anti-bully efforts, Tik Tok also launched its comments filter feature to help users prevent predatory, hateful, and obscene comments from appearing in response to their videos on the platform. The feature empowers users to self-define 30 keywords in English and Hindi that they would like to automatically filter out from their comment section.